Spend £ 241 more to qualify for payment by finance. The Native Instruments Komplete Kontrol A25 is a smart streamlined MIDI keyboard controller which integrates seamlessly with Native Instruments' Komplete software allowing you to get hands-on with all of your instruments and effects. 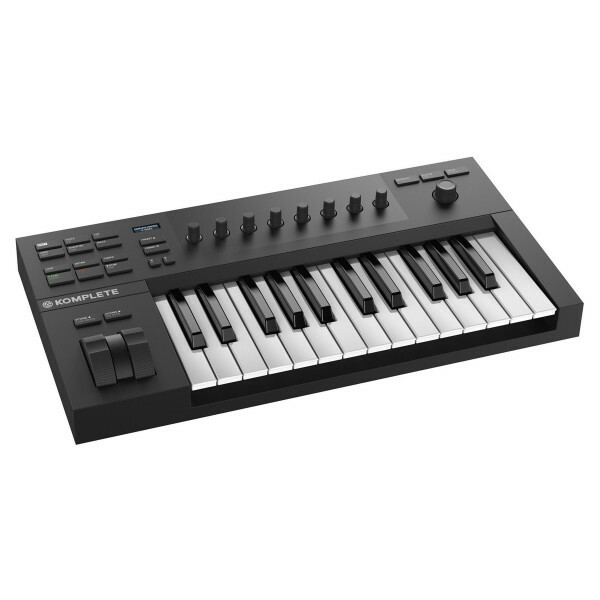 The Native Instruments Komplete Kontrol A25 is a smart streamlined MIDI keyboard controller which integrates seamlessly with Native Instruments' Komplete software allowing you to get hands-on with all of your instruments and effects. The keyboard comes with Komplete Select and Maschine Factory Library giving you all the sounds you need to start creating professional productions. 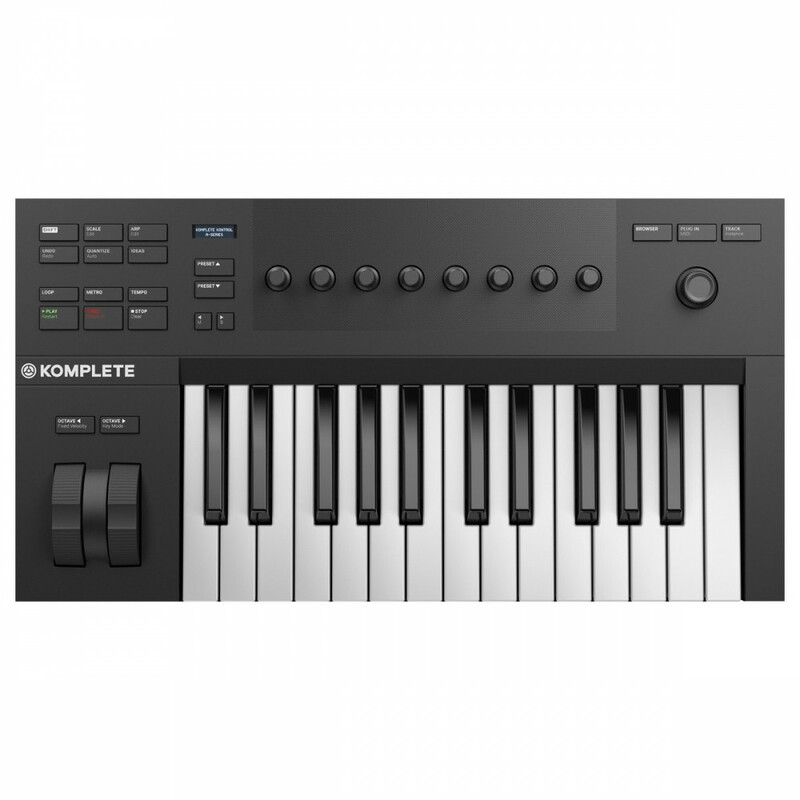 The Komplete Kontrol A25 features a best-in-class, semi-weighted custom 25-key NI keybed and ergonomic pitch & mod wheels delivering excellent playability. 8 touch-sensitive control knobs allow for controlling instrument and effects parameters on the fly, and a 4-directional push encoder makes it easy to browse and navigate with one hand. The controller is USB 2.0 bus powered with a TRS pedal input which can be assigned to control sustain or expression. The keyboard is equipped with pre-mapped control of KOMPLETE Instruments and Effects plus hundreds of Native Kontrol Standard (NKS) plug-ins from leading manufacturers via the KOMPLETE KONTROL Software. Komplete Kontrol Software allows you to control Native Kontrol Standard (NKS) and VST effects directly from Komplete Kontrol keyboards and software providing full integration with the Native Browser and intelligent parameter mapping. Notably, the Smart Play feature allows you to stay in key with over 100 scales and modes, play chord progressions and arpeggios with single keys, or map any scale to white keys only. In addition to deep integration with NI's Komplete & Maschine software, the Kontrol A25 is fully VSTi and VST FX supported therefore it's equally at home controlling other instruments and effects. The controller also offers instant intuitive control over popular DAWs Logic Pro X, Ableton Live, and Garageband at launch. Cubase and Nuendo integration will be available very soon. Finally, the A25 can of course be act as a standard MIDI controller and be assigned anything. 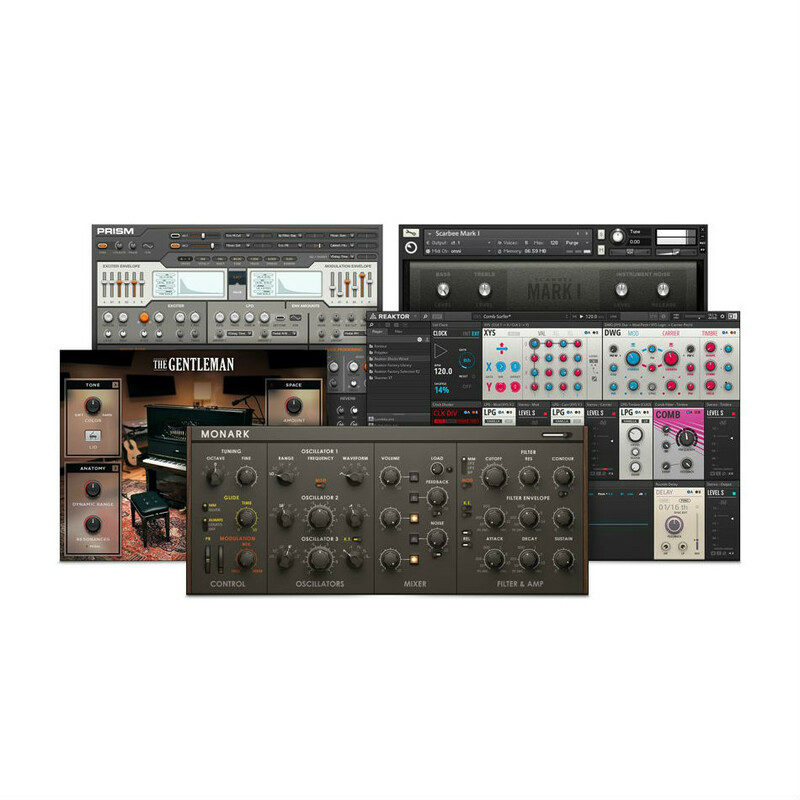 The Komplete Kontrol A-25 comes with KOMPLETE KONTROL software, plus a collection of KOMPLETE Instruments and Effects and MASCHINE Essentials for free. These will be available to download as soon as you register your hardware. 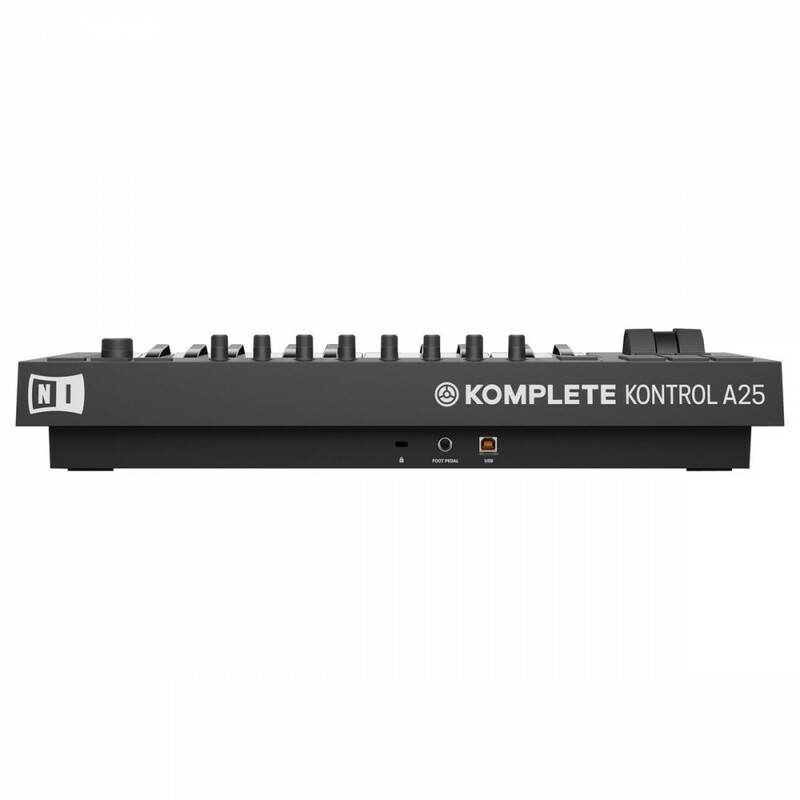 Seen the Native Instruments Komplete Kontrol A25 Cheaper?